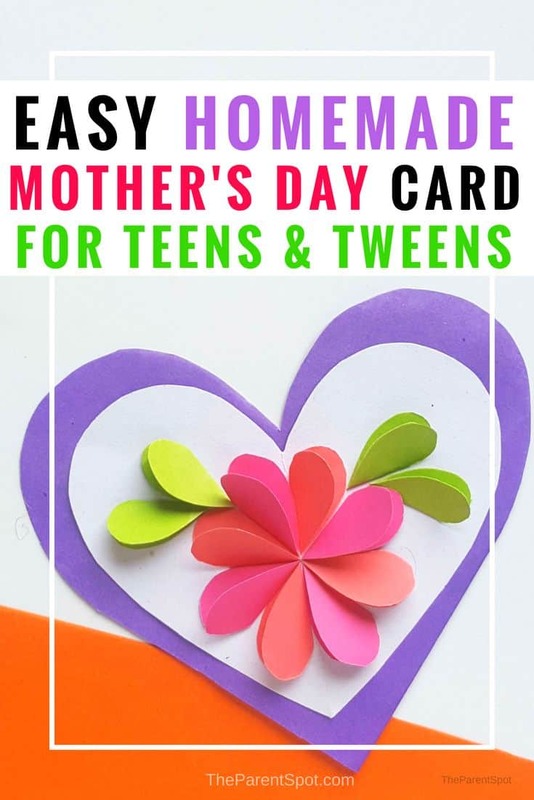 Here’s a lovely Mother’s Day craft for teens! I see so many cute Mother’s Day card crafts out there, but most of them are for toddlers or little ones. 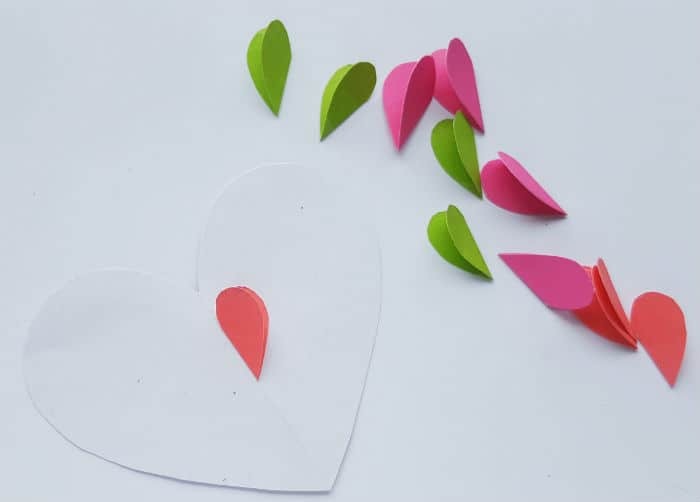 Even better, this is a paper heart card that will turn out beautifully for teens or teens, but it’s still nice and easy to make, and it doesn’t take a lot of time to create. Plus, you can probably make this using the craft supplies you have in your house. All you really need are craft paper, scissors, glue, and a pen or pencil. 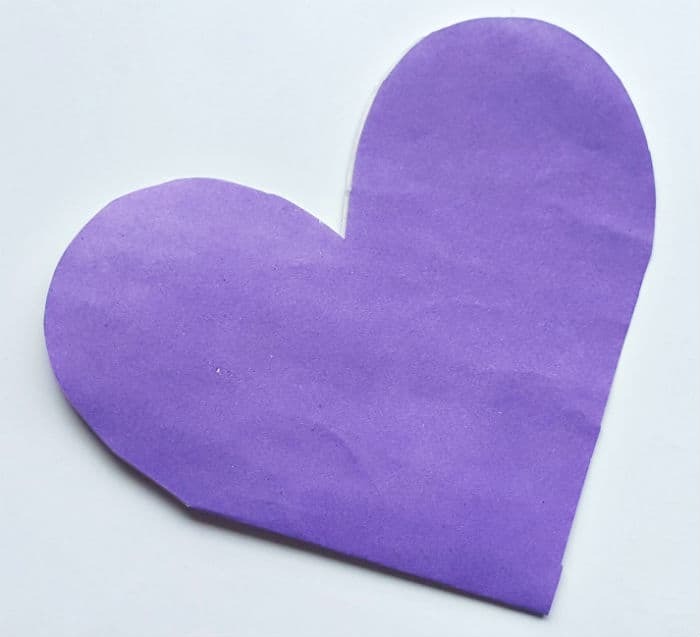 To print out the heart template you’ll also need a printer, but you could probably just cut the hearts out without a template in a pinch, too, and it would work perfectly. 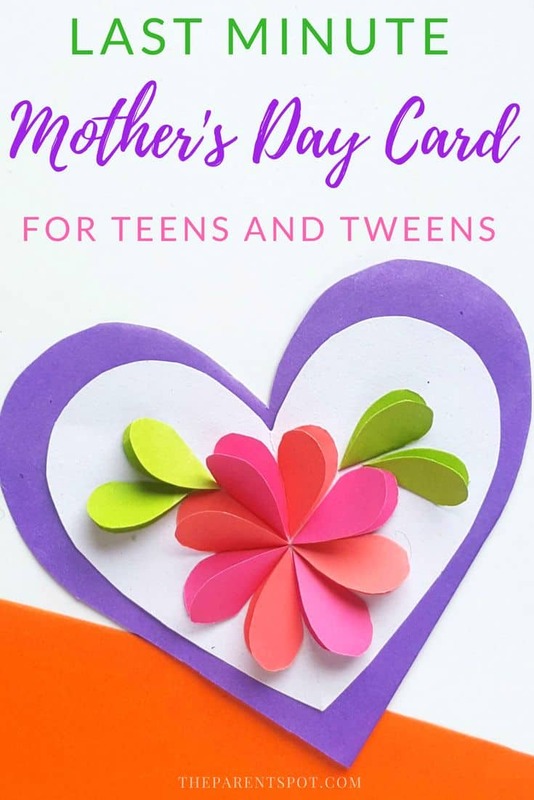 We used a pretty purple background for the card itself, with pink paper flower petals, but you could really use any color you like. We like the purple because it’s so spring-like! Colored Craft Paper (white, purple, pink, dark pink, and green). We like this affordable craft paper on Amazon. Craft Glue. We used an Elmer’s clear glue stick. Scissors. Craft scissors are perfect for fine cuts. See our favorite craft scissors on Amazon here. First, you’ll need to print out the template, and then cut out the patterns from the template. Download the template here! Tip! DO NOT cut along the line at the center of the double heart! 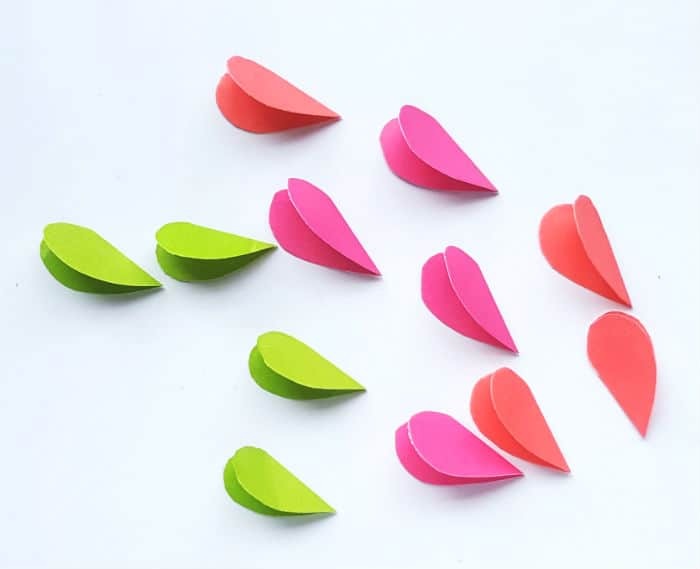 Now, chose your favorite colors of craft paper for the little hearts that will become the flower petals, and then a green craft paper for the leaves. Then trace eight of the small hearts from the template on the colored craft paper for the flower. 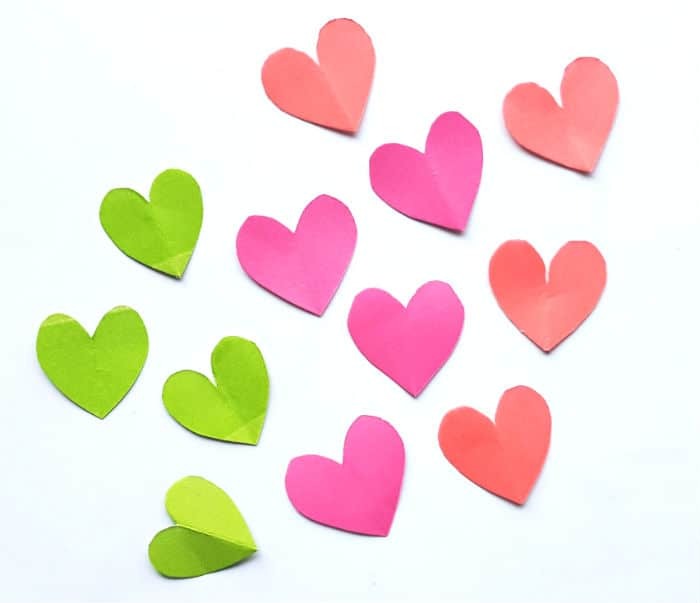 Trace four of the small hearts from the template on the green craft paper. Cut out the traced hearts. Next, using the template, trace and cut out the medium sized heart from a white craft paper. Take the small hearts and fold them all into half vertically. Now, you’re ready to start assembling the flower. 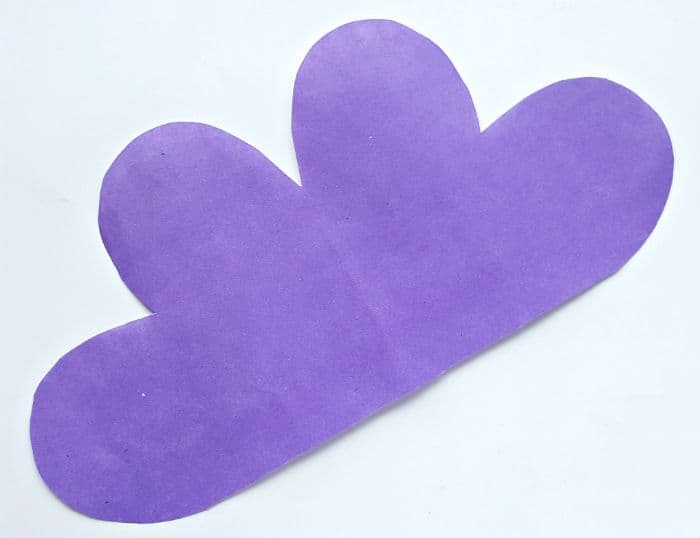 Lie the medium sized heart cut out on a flat surface and glue the folded small hearts (the 8 hearts cut out for the flower) on it. 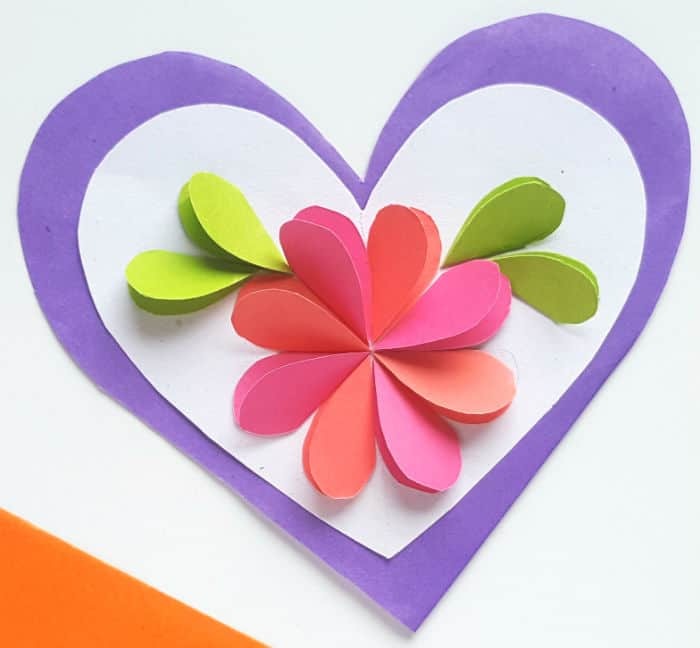 Glue the folded hearts to form a round shape; keeping the pointy side of the heart at the center and the curvy part outwards. 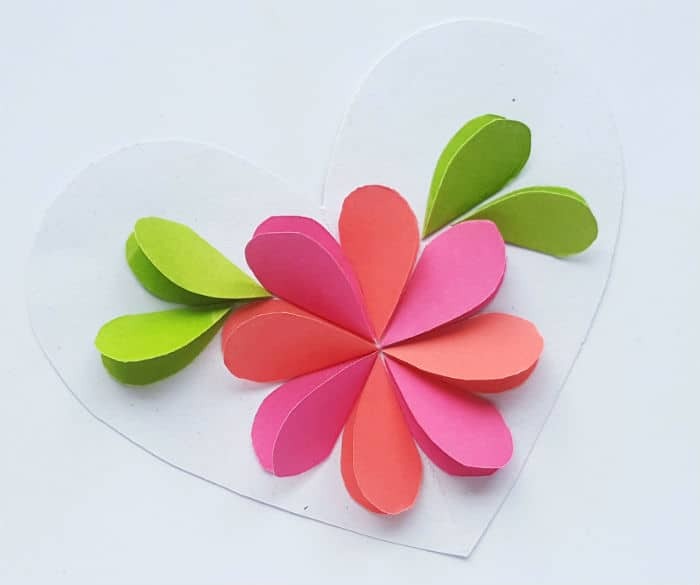 Next, you’ll glue the four green heart cut outs next to the flower pattern to form the leaves. Now it’s time to make the purple part of the card. 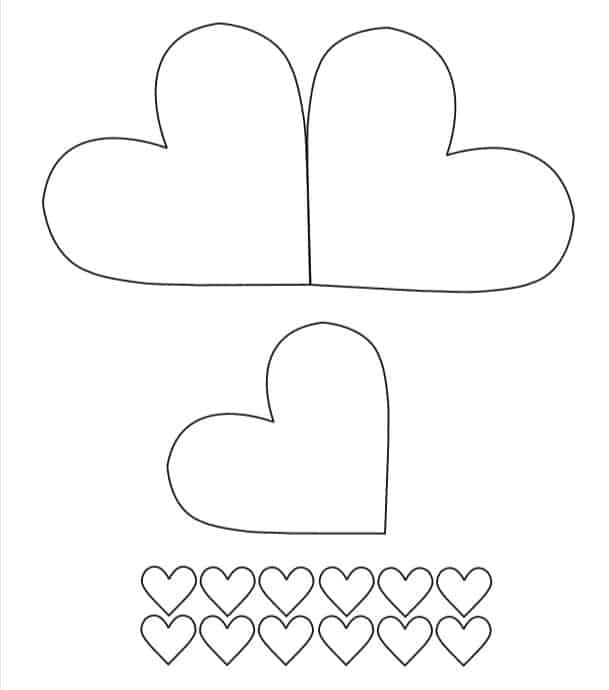 First, take the double heart template and trace it on a colored craft paper selected for the card. Important! DO NOT cut along the line at the center of the double heart! 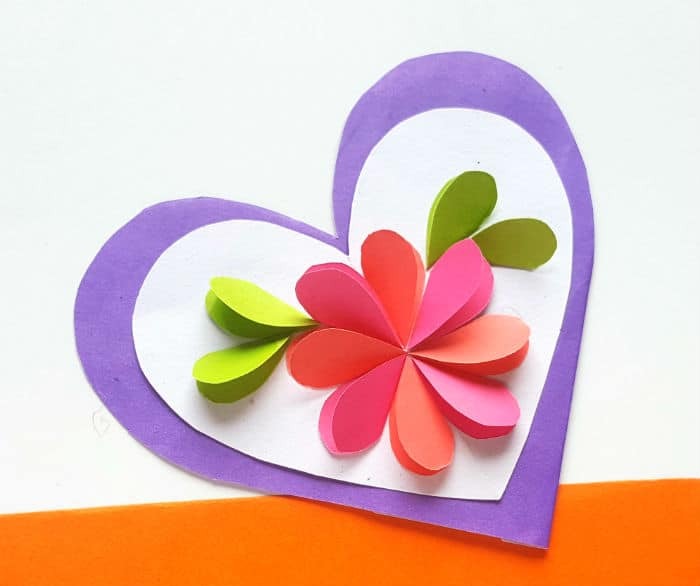 Next, fold the cut out double heart pattern in half, along the line between the two hearts to form the card. Just glue the decorated medium sized heart in the middle of the heart card! You’re done! Just sit back and wait for Mom to be wowed by your thoughtfulness on Mother’s Day! Like this: Check out our cute ladybug Jello cup craft, or Netflix spin wheel to stop sibling squabbles.